While the movie garnering some good reviews, the album continues to bank on the ‘Theeraadhae Aasaigal’ factor. Orange Mittai goes the PRIME way! Once again with Vijay Sethupathi! Look who else is in Vijay Sethupathi's next? Multitasker Vijay Sethupathi’s many firsts! 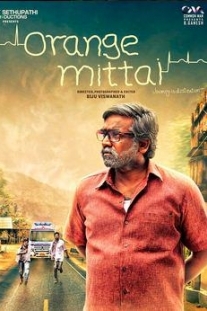 Orange Mittai aka Orange Mittai is a Tamil movie with production by Vijay Sethupathi, direction by Biju Viswanath, cinematography by Biju Viswanath, editing by Biju Viswanath. The cast of Orange Mittai aka Orange Mittai includes Ramesh Tilak, Vijay Sethupathi.